43 of Selling Quality Caravans Central Coast. 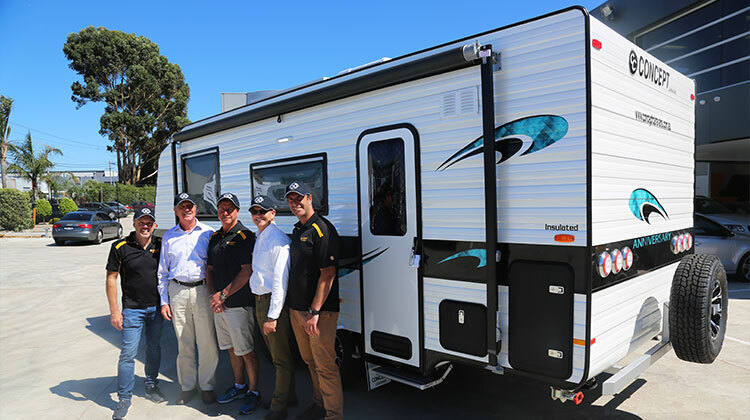 For 43 years Alan Graham’s Caravans & RVs have been satisfying customers from all parts of Australia. Alan and his wife Judy commenced operations in Gosford (just 1 hour north of Sydney) in January 1976 from humble beginnings selling cars and then on to New and Used Caravans. Today the Company has a variety of popular brands catering for all types of caravanners. 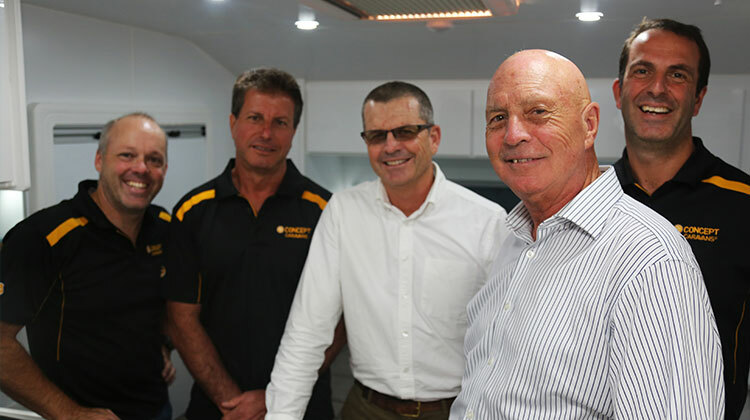 Concept Caravans & Newlands Caravans have taken the industry by storm producing an innovative modern caravan. New sparkling ideas and tried and proven technology make the Concept and Newlands range “a must see”. Baby Boomers account for a major section of the Concept success. Essential Caravans are our newest range. 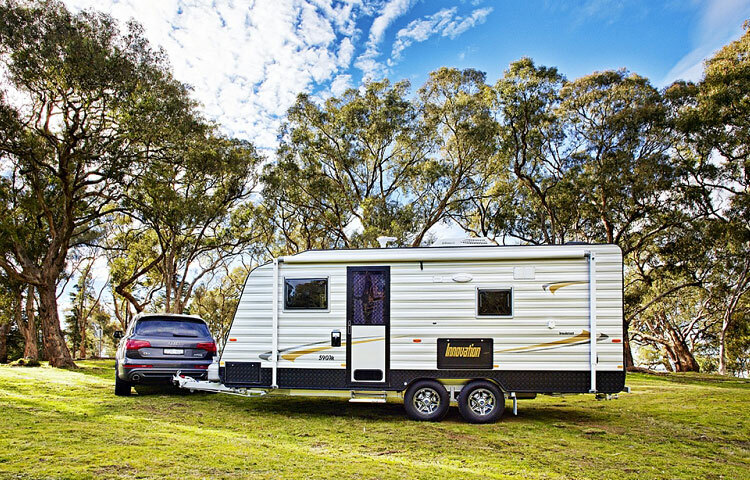 Family, semi-off,and off road caravans, Australian built, going beyond tradition. Son Andy joined the team 28 years ago and after working in many departments is now General Manager allowing Alan & Judy to travel more and know the business is in good hands. Alan says after 43 years any business needs fresh ideas, new blood and modern technology. The Company has a state of the art industry specific computer system which is linked to a new and bold web site. Our company motto, however, still remains the same OUR REPUTATION IS YOUR PROTECTION. Alan Graham is always looking to improve his business and the products he offers his customers. He has travelled to Europe to inspect and evaluate the latest technology on Touring Vans. The experience gained is invaluable to both his business and his customers. Alan being a caravanner himself always encourages his staff to use caravans for their own holidays. Both Alan and Andy have done many Outback and around Australia caravan trips and are happy to pass on any advice to our customers. Due to expansion the company has recently opened a new larger workshop to cater for Service and After Sales work together with Insurance Repairs. Also incorporated in the new complex is a Delivery section specifically designed to make the hand over of the new caravan as enjoyable and informative as possible. Steve Fuller the Service Manager has been with the Company for 40 of the 43 years and is well qualified to satisfy our customers every need. Steve is capably assisted by the other workshop staff. When you are looking to purchase a caravan, caravan dealers are a good place to start you as you will be able to view a good selection. But buying caravans from reliable dealer will earn you more benefit. 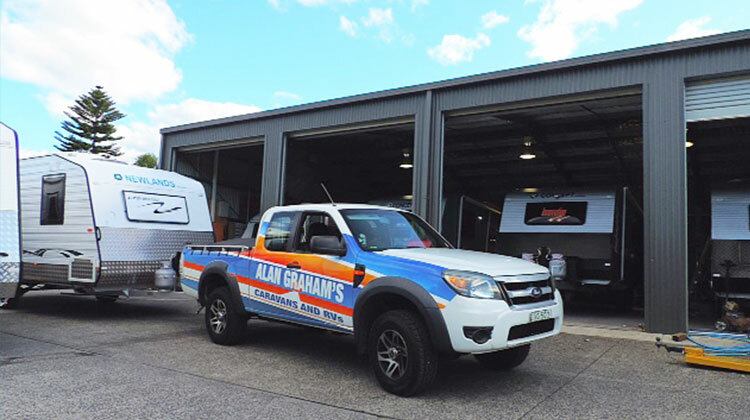 For 43 years of being a reliable companion of Aussies adventures, Alan Graham is proud to earn positive feedback from our customers, making it a motivation for us to serve you better.